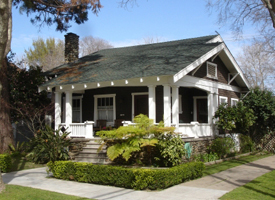 In 1987 Berkeley launched the Residential Energy Conservation Ordinance (RECO), requiring Berkeley residents to become more energy efficient and reduce household environmental footprints. Demand for RECO stemmed from increased consciousness of energy limitations, due to the oil embargoes of the 1970’s, and the need to insulate homeowners from high energy prices. Today, RECO requires 10 relatively simple conservation measures. These measures represent the low-hanging fruit, most of which can be completed by the homeowner and most of which target natural gas and water usage. These prescriptive measures have helped to reduce winter heat loss and summer heat gains, and have helped save Berkeley residents’ energy and money, particularly as natural gas prices are unregulated. For the average Berkeley household, annual potential cost savings from RECO is estimated at $698. Total savings over the 22 years of implementation are estimated at 811,800 therms of natural gas, 1.32 MWh of electricity, and 132 million gallons of water. To learn more about the Berkeley experience with its RECO, check out the case study. To find out about other initiatives by local governments and stakeholders around the country to improve energy efficiency, take a look at ACEEE’s other local policy case studies.